Goddammit! Beyond fed up! Time for talk is OVER! God forgive me. 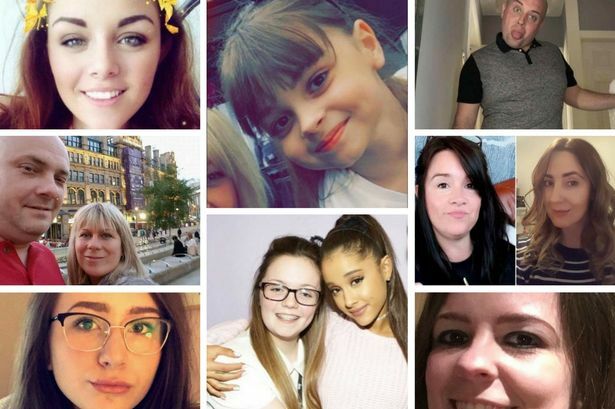 I was enjoying a rare respite from my work yesterday, when my senses were suddenly assaulted with the news of yet another terrorist slaughter — this time of at least 22, mostly young people and little children, at the Ariana Grande concert in Manchester, England. How many families, how many children, how many brothers, sisters, sons, daughters, mothers, and fathers need to die in senseless mass murders before the political class will see the light? How much horrible loss will we as a people tolerate before we scream “Enough!” and pick up torches and pitchforks and literally drag them out of their homes? Are we ever going to reach the breaking point where the deadly consequences of their policies that we have to face every day will finally percolate into their incomprehensibly dense psyches? Will they ever be compelled to do what is right? When, oh when, is enough, enough? I traveled to Los Angeles, California this weekend to attend American Freedom Alliance’s Heroes of Conscience awards dinner for two American heroes: David Horowitz and Philip Haney. Horowitz, a former leftist, heads the David Horowitz Freedom Center, battles for free speech on college campuses and has been a stalwart defender of conservatives and conservative causes for decades. For his efforts, he is routinely threatened, sued, and demonized nationwide by our sick media and political class (including more than a few “conservatives”). 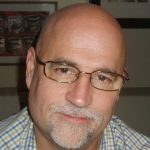 Haney is the Department of Homeland Security whistleblower, who was targeted and investigated by the Obama administration for his work as a DHS intelligence analyst exposing Islamic terrorists in the U.S. For his efforts, he was punished by his employer, threatened by nameless others, and vilified in the sick media. He wrote a best-selling book about it, See Something, Say Nothing. 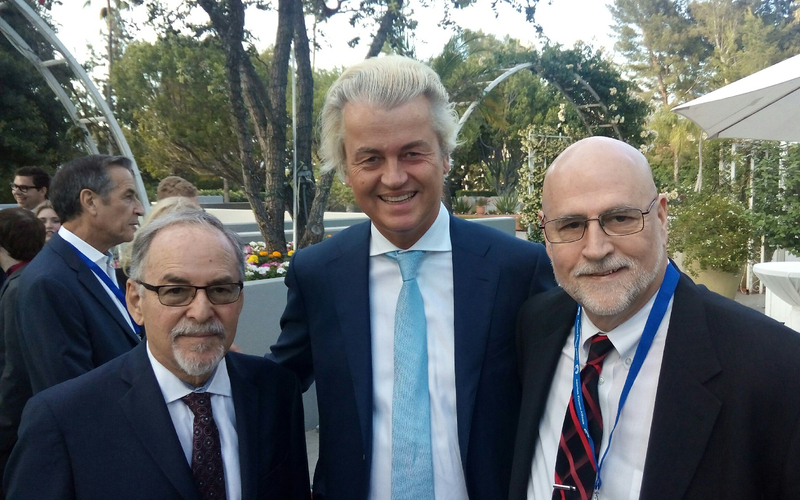 James Simpson (right), Geert Wilders (center), and David Horowitz (left) in Los Angeles, May 21, 2017. The keynote speaker at this event was Geert Wilders, leader of the Party for Freedom (Partij voor de Vrijheid, or PVV) in the States-General, which is the Dutch parliament. Wilders has spoken out forcefully against the incremental Islamization of Europe and the West. For his troubles he was convicted of “hate speech” in his native Netherlands, has had his life repeatedly threatened, and must travel with a small army of security professionals forever at his side. He’s been shunned by the Dutch political class, despite a strong showing in recent elections that made his party the second-largest in the House of Representatives and is smeared as an “Islamophobe” by the sick Western press everywhere. Wilders’s speech carried a powerful message: we must stop bowing to political correctness. We must name the enemy for what it is: Islam. And Wilders emphasizes, it is not “radical Islam,” but plain old Islam. He says that while there are plenty of moderate Muslims, Islam is not moderate. It is not, he notes, merely another religion. It is not even primarily a religion. It is a totalitarian political-military doctrine of conquest. And we ignore this distinction at our mortal peril. The images we hold in our minds should not be those of senseless slaughter, but of ordinary men and women who put concerns about their own safety to one side and rushed to help. But all I could think about was the impossible suffering of those parents who will now have to bury their children. Messages of solidarity and hope? Solidarity with or for what? Cleaning up yet another mess? Hope for what? Good weather? There will be difficult days ahead. We offer our thoughts and prayers to the family and friends of those affected. We offer our full support to the authorities, the emergency and the security services, as they go about their work, and we all, every single one of us, stand with the people of Manchester at this terrible time. That is so reassuring! And I am sure the good people of Manchester are bubbling over with gratitude to the PM for such nice sentiments. And today, let us remember those who died, and let us celebrate those who helped, safe in the knowledge that the terrorists will never win, and our values, our country and our way of life will always prevail. Wait… what? “Safe in the knowledge that the terrorists will never win”? Safe in the knowledge? Never win? On March 22, five others were killed and 50 wounded when a Muslim terrorist plowed into pedestrians on London’s Westminster Bridge in sight of Parliament. There have been numerous terrorist attacks in Great Britain going back years. What, pray tell, is the body count that defines the prime minister’s definition of “winning”? “Our values, our country and our way of life will always prevail”? When? When is this going to happen? When will our values prevail? We are surrendering them every day. When will our country prevail, when it is increasingly not our country at all, but a destination for welfare-sucking communities from hundreds of nations, speaking hundreds of languages turning it into a Tower of Babel? When are we going to see one single action taken to halt this lunacy? Because for my money, these elitist politicians have been surrendering the entire store to our enemies for decades! And now the chickens really are coming home to roost. Prime Minister May spoke platitudes, nothing but platitudes! And promised nothing but more of the same! All I could think was: this is your fault. Yes, you. You, the political class. You, the spineless, politically correct elitists. You the debauched, treasonous media. You the treacherous, hypocritical and destructive Left — who out of countless self-serving motives or simply abject cowardice, have allowed ceaseless immigration of openly hostile, arrogant people, who don’t assimilate, don’t intend to assimilate, and tell us every day, what they intend to do — and then, surprise of all surprises, they do it! When are you going to face the consequences of your actions? When will you acknowledge your bottomless stupidity? What will it take for the truth to percolate into your empty, pretentious heads? And I would ask of us, when are we going to force you to do so? Do we literally have to pick up the torches and pitchforks? Be forewarned: there is a tipping point beyond which we will no longer tolerate the intolerable, we will no longer accept being endlessly taxed to support a nation of ungrateful aliens who attempt to murder us in the streets then join the media echo chamber calling us “bigots” and “Islamophobes” when we object. Do they? Let’s ask them. Donald Trump needs to right now, today, issue another executive order against travel to the United States from those same terrorist-plagued countries that were included in the earlier orders (EO 13769 and EO 13780). Dare the judges to defy him yet again. He also needs to demand an emergency appeal of the prior EOs to the Supreme Court. If newly minted Justice Neil Gorsuch is truly the genuine conservative constitutionalist everyone is claiming, that should settle the issue once and for all rather quickly. The time for talk is over. The time for mindless platitudes is over! The time for action is way past due. So let’s not waste another second.